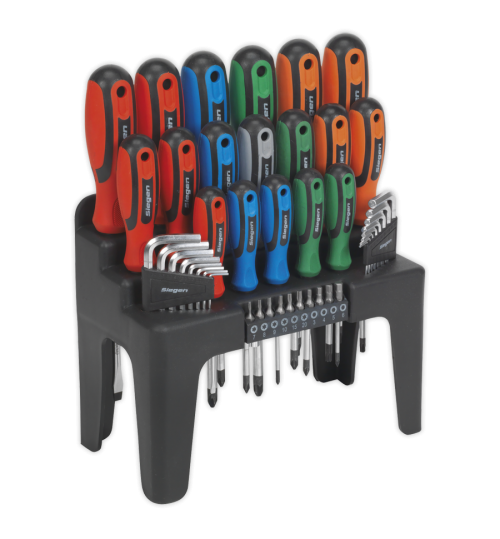 Selection of popular sized screwdrivers, hex keys, bit driver and bits. Chrome Vanadium satin finish shafts with shot blasted and magnetized tips. Contoured soft grip handles with colour-coding for fast identification and hanging hole for alternative storage. Supplied in a display stand.